The historical cost principle is one of the basic principles of business bookkeeping. Basically, the historical cost principle says that you record an asset at its cost when it is purchased. A business asset is something of value that you buy for your business. With a few exceptions (cash, accounts receivable, and pre-payments), all other business assets are recorded using the historical cost principle. These assets can be anything from supplies and computer printers to vehicles, land, and buildings. When your business buys one of these assets, it is recorded at what you paid for it (cost, or historical cost). This cost is recorded on the balance sheet, a financial statement that summarizes all assets, liabilities, and owners equity (ownership) at a particular point in time. The original cost can include everything that goes into the cost, including shipping and delivery fees, set-up, and training (on a computer system, for example). The historical cost is recorded under the asset column on the balance sheet, and it doesn't change as long as the asset is owned by the company. The cost of intangible assets, like copyrights, patents, and trademarks, is recorded as the cost of producing the asset. For example, the cost you paid for someone to create a trademark for your business, added to the cost of having an attorney register the trademark, would be major parts of the cost of that trademark. What If the Cost Changes? The historical cost principle recognizes changes in value to assets by recording a decrease in value due to obsolescence, physical deterioration, and other causes. These decreases are recorded through depreciation (for physical assets) or amortization (for intangible assets). Land doesn't depreciate, so its value stays the same. How Is Book Value of an Asset Related to Historical Cost? The book value of an asset is its current value on the balance sheet. Book value is calculated by subtracting depreciation or amortization from the original cost of that asset. But don't confuse book value with an amount that you can sell an asset for. The selling price of an asset depends on many factors that aren't related to the book value. For example, if your business vehicle has been in an accident and you want to sell it, its condition would almost certainly not match the book value. When you buy or sell a business, it's good to know that the value you see in the business is recorded to some agreed-upon standard. Of course, you would still want to get an appraisal of the business and its assets to make sure the actual value resembles the book value. Why Is the Historical Cost Principle Important? This cost principle is one of the four basic financial reporting principles used by all accounting professionals and businesses. The fact that everyone is using the same system makes it easier for everyone to know the exact value of a business and its assets. Using historical cost means no one has to guess at the original cost and showing reductions in cost. Since the original cost doesn't change, and methods of depreciation are standard, it's easy to see what the current value of each category of asset is at any one time. How Is Historical Cost Different From Market Value? Some assets are recorded in a different way than historical cost, because their value changes frequently. These assets include marketable securities (stocks, bonds, and other securities). Because these assets are bought and sold frequently, the selling price of these assets depends on their value at the time they are sold, and they are valued at market price. This accounting method is called mark-to-market, or fair value, accounting. 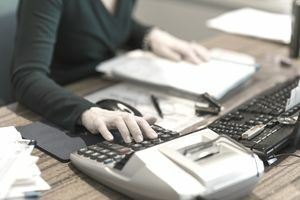 Knowing that most business assets are valued at historical cost can help you when you look at a business balance sheet or at your own company's valuation.